Natural forests cover around a third of all land on Earth. They are our planet’s ‘lungs’, taking in carbon dioxide (CO2), a major greenhouse gas, and storing the carbon while releasing oxygen for all living organisms to live and thrive. Natural forests are also like living cities. They provide the vital natural infrastructure for some of the planet’s most diverse collections of life, along with 60 million indigenous people. By absorbing CO2 and heat, natural forests help to cool our planet. When intact, they can influence rainfall patterns and reduce flood peaks, as well as helping to refill our ground water stores. Their roots bind the soil and reduce erosion, while removing harmful pollutants from it. They are also a source of numerous medicines, jobs and products. In short, natural forests are amazing and essential to life. In South Africa, 0.4% of the country’s landmass is covered by natural forests – around half a million hectares (ha) with a further 39 million ha covered by savannah systems. 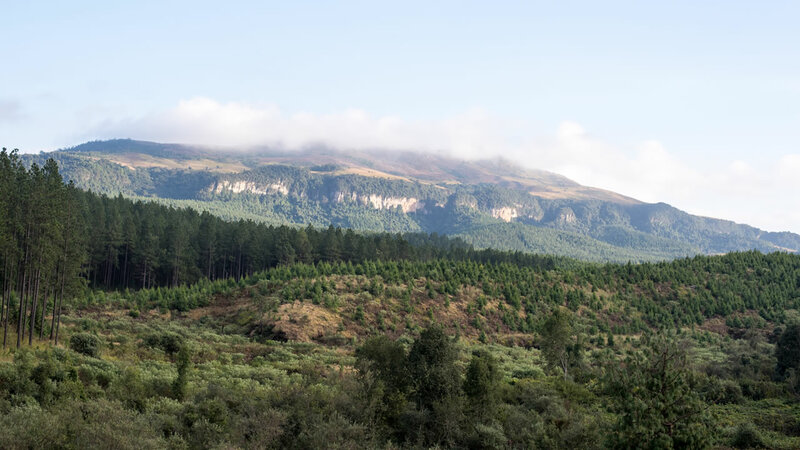 Together, our natural forests and savannah systems contribute to the conservation of South Africa’s biodiversity, the protection of our soil and the purification of our water. They absorb a large quantity of the CO2 that humans, animals and industry produce and release essential oxygen, as well as being recreational outlets for all people to enjoy. While timber plantations are by no means natural forests, in some cases farmed trees can perform similar ecosystem services. They remove CO2 from the atmosphere and storing it in their timber and end-use products, release essential oxygen and offer a wealth of recreation opportunities.